This summer, adidas and UEFA extended and expanded their long-term partnership. The new deal includes the Champions League, Super Cup and the newly created Europa League. For the first time, adidas will support all official UEFA club football competitions, further consolidating the brand’s position and keeping them at the top of the soccer food chain. 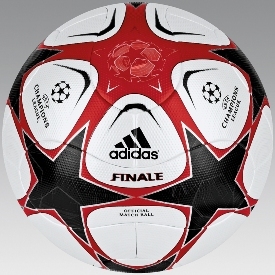 One of adidas’ first announcements under the extension is the introduction of the Champions League Finale 9 match ball and the Europa League match ball. [Look for a review on ASER soon]. The official press release is below the images. 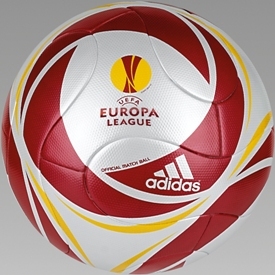 adidas and UEFA unveiled the Super Cup match ball that was used in the FC Barcelona vs. FC Shakhtar Donetsk match in Monaco. Both balls feature the new surface structure PSC-Texture that allows players to control and direct the ball perfectly in all weather conditions in addition to guaranteeing optimum grip between ball and boot. NOTE: ASER Reviewed the first generation of this technology and found it to be a vast improvement in texture and durability over the world cup ball. You can see the review here. As part of its partnership with UEFA, adidas today introduces the official match ball for tonight’s Super Cup in Monaco between FC Barcelona and Shakhtar Donetsk – photos attached. The futuristic ball features the new surface structure PSC-Texture that allows players to control and direct the ball perfectly in all weather conditions, guaranteeing optimum grip between ball and boot. In addition to the Super Cup match ball, adidas and FC Barcelona star Lionel Messi have designed a special F50i Argentina colorway boot for today’s match. As a tribute to Messi’s home country, the F50i features colors of the Argentinean national flag (gold, white and sky blue) together with the flag’s sun emblem. Messi will wear the new boot for the first time today in the UEFA Super Cup and then again on September 5 when Argentina faces Brazil in Messi’s hometown of Rosario. Only three adidas soccer players – David Beckham, Franz Beckenbauer and Uwe Seeler – have received a personal football boot; Messi is the fourth. The new F50i Messi football boot will soon be available at specialist stores worldwide and at Eurosport.